Welcome to Holland Hydroponics the UK’s leading supplier of hydroponic equipment for the indoor gardener, if you're into Hydroponics then you’ve come to the right place! If you have a question, need some advice or just want to talk all things plants, then contact us! We have 4 stores located in Manchester, Burnley, Huddersfield and Flint (North Wales)so why not give them a ring or come in and speak to our helpful, friendly & knowledgeable staff. If you prefer you can also use the contact form below with your questions & we will get back to you as soon as we can. Holland Hydroponics was the first hydroponic retail store to open in Manchester, our very first store opened way back in 1996 in Heywood. We started with the objective of helping others to hit their goals, aiming to give the best customer service possible, and have since built our great reputation over a number of years. 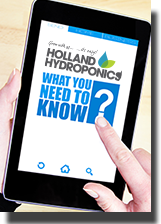 At Holland Hydroponics we aim to keep a wide range of hydroponics brands, giving you everything you might need. We always to try obtain the items you request, and our friendly teams are always on hand. From these humble beginning Holland Hydroponics have gone from strength to strength and over the past 22 years we have expanded into 4 stores across the North West of England and into Wales. Manchester holds our biggest store, with the others being located in Burnley, Huddersfield and Flint. Good luck and happy growing from all of us at Holland Hydroponics! See below to find out more information about your local store.